Is This Mark Hamill's 'Star Wars' Beard? This is definitely not a new Star Wars photo, but it’s as close as we’re going to get for now. 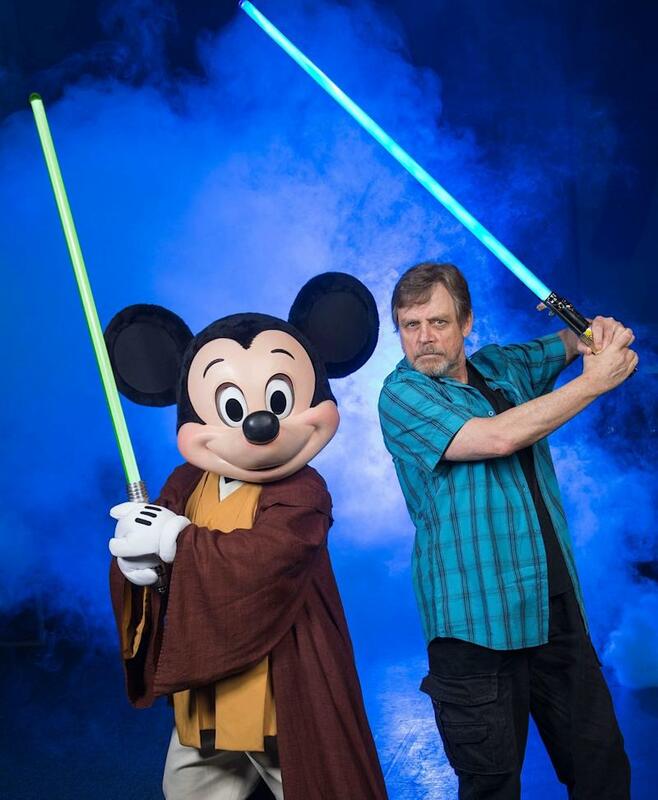 The shot reveals the semi-official return of Mark Hamill as Luke Skywalker, wielding a lightsaber and posing with Jedi Mickey Mouse in celebration of “Star Wars Weekends” at Walt Disney World June 6-8. It’s the first time Hamill has attended the event in its 17-year run. Meanwhile, Star Wars: Episode VII is still so far, far away with a release date of Dec. 18, 2015.